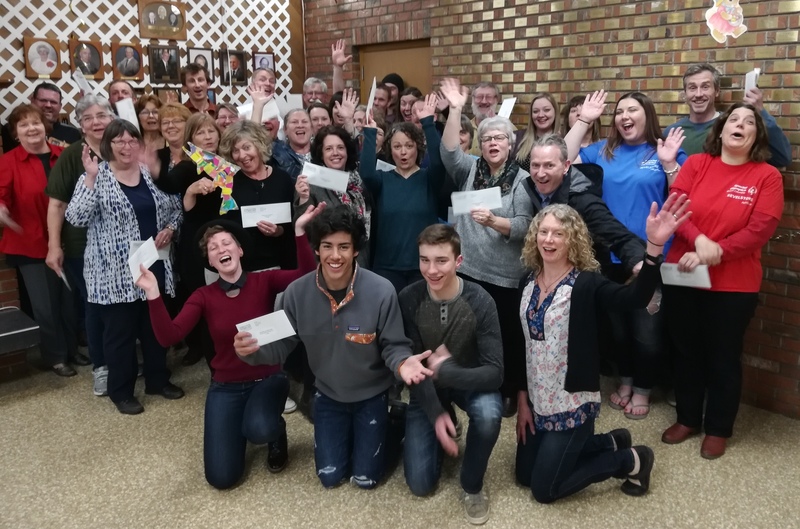 On Tuesday, April 9 2019, the Revelstoke Credit Union (RCU) Annual General Meeting (AGM), held at the Revelstoke Seniors Centre, was a full house affair. David Raven chaired the quickest and funnest AGM in town, in which 75 members and 20 guests attended. The highlight of the meeting was, without doubt, the Community Giving, where the RCU gave out $100,000 to various local groups and organizations. Over the past 17 years, Revelstoke Credit Union has returned nearly $5.8 million to local initiatives, including capital infrastructure projects throughout the city. These funds have gone to support heritage, recreation, medical services, the social, arts, sports sectors of Revelstoke. For a complete list of successful applicants, please see below.